I was really excited to see Auckland Transport’s proposal to extend rail electrification from Papakura to Pukekohe. With a whole heap of growth proposed for the southern-most parts of Auckland it seemed pretty insane to cut electrification off at Papakura. Furthermore, if wake up to the reality that running diesel shuttle trains for less than 100 passengers a day between Waitakere and Swanson is absolutely insane, electrification to Pukekohe means that we can completely do away with diesel trains from the Auckland rail network. That’s likely to have some significant cost savings in terms of no longer needing a diesel train maintenance depot. Obviously there’s always a balance to be found with the number of stations you have – because each station slows down the train for people not getting on and off. However the sheer scale of growth proposed for this area means that the balance might be tipped in favour of more stations rather than less. This from the Council’s report into this southern growth area: The report seems to indicate that most of this development is unlikely to happen until post 2020, so the additional stations may not be needed for quite some time. However, as electrification to Pukekohe’s justification is based on a 30 year timeframe it really should take into account the possibility of at least 1-2 of these extra stations happening. With a city the size of Tauranga likely to be constructed around this railway line during the next 30 or so years, plus Pukekohe to grow significantly as well, I’d say that perhaps the need for electrification is even more compelling than Auckland Transport’s analysis so far suggests. Put it this way, we’d be absolutely insane to develop that area without electrification happening. Great posting except this rather poorly thought out line “Furthermore, if wake up to the reality that running diesel shuttle trains for less than 100 passengers a day between Waitakere and Swanson is absolutely insane”. I thought by now you have realised this service needs to be extended to Huapai? There’s been plenty of debate on here and the CBT forum and it still shows that a service extension is needed west, and needed now. You want alot more than 100 passengers to one station (Waitakere)? Provide what is needed. I don’t think that extending electrification or even diesel shuttles to Huapai will magically make enough people use the train to justify an existence. 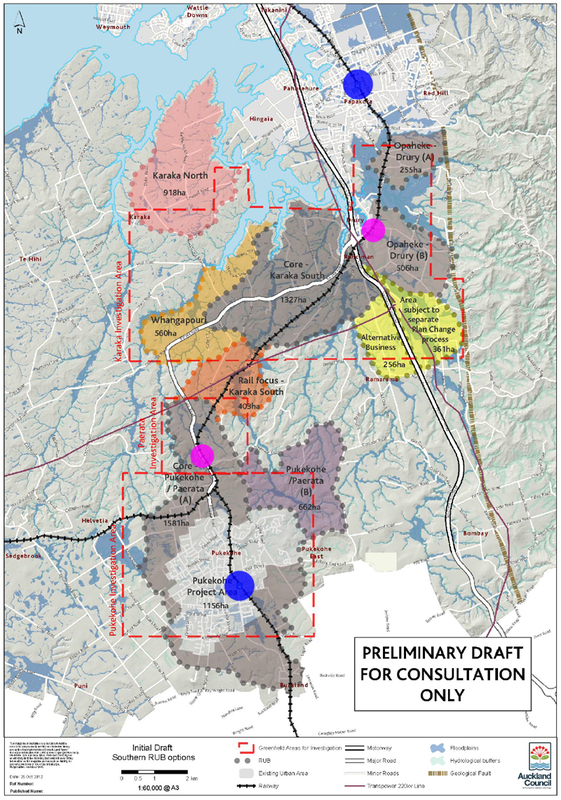 There are only about 7000 people in the whole Huapai/Kumeu/Riverhead/Waimauku area and I doubt many would be travelling to places along the rail line with the exception of the CBD which would be much faster on a bus with the upgrades that are planned for SH16 anyway. Better to stop the services at Swanson and put the money saved into a much improved bus service until such time as major development in the area occurs. Its worth noting that its unlikely that Karaka will get developed- there are serious land stablity issues there, making it unsuitable for urban development. Its likely that its on the map more to demonstrate that all possible options have been evaluated. Do you mean Karaka North? Or more inland, or both? A fair bit of both, from memory. Totally, and the creation of a genuine commuter town that will have a defined core, that is already transit friendly. Yes Sir! Anyone got a map of these unstable geo areas? There’s a map under Priority 4 of this page link in the Auckland Plan. Shows only small parts of the discussed area being unstable though. Presumably in periods of heavier traffic there would be plenty of room to operate express services within this corridor as well – which would reduce the impact of opening several more stations. Electrification and more regular services to Pukekohe make perfect sense to me. If you compare it to Wellington where regular trains go to Paraparaumu and they recently extended it to Waikanae, the Pukekohe electrification would serve an equal or greater population as Kapiti coast I’d say. ‘The potential work force will come from across the Auckland region, but is expected to be primarily focused on Papakura, Franklin and neighbouring Manukau. These workers can get to the area by different modes of transport, with improved roading connections, public transport (including via train to Drury), and extended cycleway connections. The mode of transport used depends on where workers live and how soon public transport options are provided.’ From the Drury South Industrial Project Website. So is there actually a station planned for Drury? I think it makes a lot of sense to electrify to Pukekohe. Also, to safeguard station sites and ensure development centres around these sites. That way, in a few decades, the new suburbs between Pukekohe and Papakura will be centred around stations, which should ensure high PT usage. Ideally, major developments (like shopping centres) could then be adjoined to the stations. Spijkenisse town (pop 75,000 area 30km2) at end of Rotterdam metro line has 3 station 1.2 km apart. 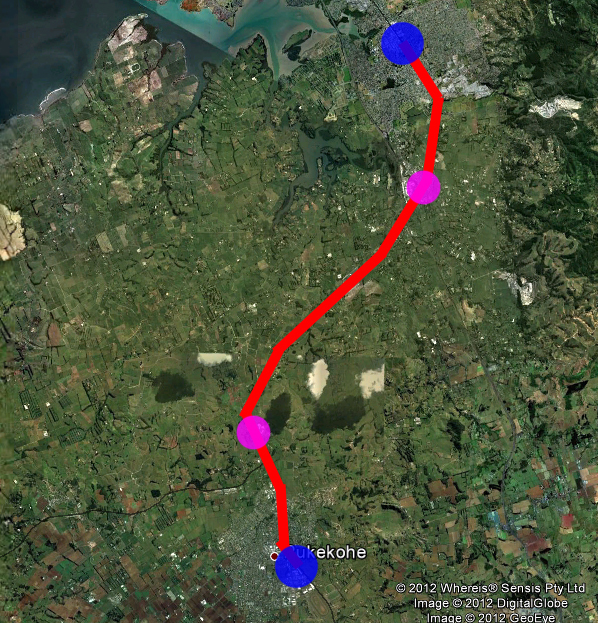 Maybe instead of having 3 station spread out between Drury and Pukekohe. They could be concentrated in Pukekohe allowing the train to run at speed between Pukekohe and Drury. 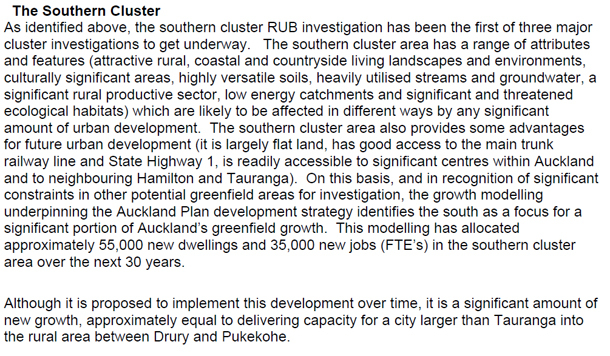 How would that help if development ISN’T all concentrated in Pukekohe? The 800m rule applies (stations are only really effective if there is lots of residential within a circle of 800m of their loction). Don’t forget to mention here that the whole area is incredibly industrial with worldwide headquarters for shell in pernis and unilever in Vlaardingen. you can’t really compare areas around the worlds biggest harbour with pukekohe..
Don’t forget to mention here that the whole area is incredibly industrial with worldwide headquarters for shell in pernis and unilever in Vlaardingen. you can’t compare areas around the worlds biggest harbour with pukekohe..
May as well electrify to Tuakau,… it is only another 4.5kms…. Anon, the problem with Tuakau is that I think it’s in the Waikato District Council area, not in the Auckland Council area, So unless the WDC are going to fund/partially fund an extension (and also the operating costs of services going from/to there) there it won’t happen. I agree that it would be good to extend it to Tuakau as well. Yep, Tuakau campaigned strongly to be left out of the Auckland supercity, so they’ll have to rely on the Waikato for any PT improvements they might want.